We’re In Amsterdam On METSTRADE 2017, Come And Visit Us! Starting today we are welcoming all the visitors of the world’s largest B2B marine equipment trade show METSTRADE 2017 at our stand 05.359. Our representative Toni Avžner will gladly make a demonstration of our MRV ready vessel independent web-based fuel monitoring solution named FuelTraker. And of course, he will answer all your questions concerning our FuelTraker solution as well as other questions regarding vessel tracking and monitoring solutions. Contact him at [email protected] or call us at + 386 3 428 48 00. As exciting as 2017 has already been for us, there are still some milestones we’re looking forward to achieving. Namely, at METSTRADE we are exhibiting FuelTraker that is not only a perfect tool to analyse engine consumption performance but also resolves fuel consumption in real-time, identifies events that could impact your bottom line, and among other features allows to set vessel fuel consumption threshold values. 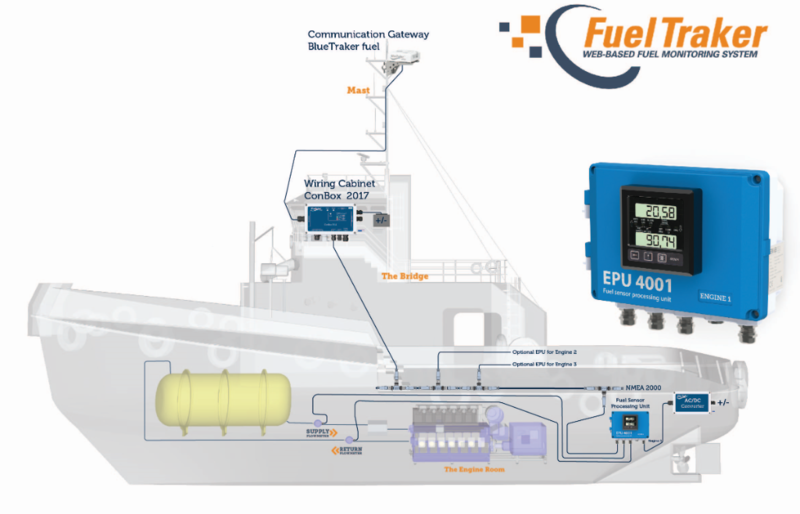 FuelTraker is a system through which remote real-time fuel monitoring is established. The system consists of an onboard vessel equipment and remote back office application. Onboard equipment is physically mounted on the selected vessel and its purpose is to measure fuel flow and capture other navigational data. This data are then transferred through the BlueTraker fuel (satellite communication terminal) to back office application in the monitoring centre. Back office application is called FuelTraker App (web-based application) and through which users can monitor fuel consumption of any vessel in the fleet wherever it is on the globe. Contact us at [email protected] and we will send you your ticket.Do you know a friend or college that is going to the show? Forward him this email so he can get his own free entry. Visit us at METSTRADE show 2017 booth number 05.359.